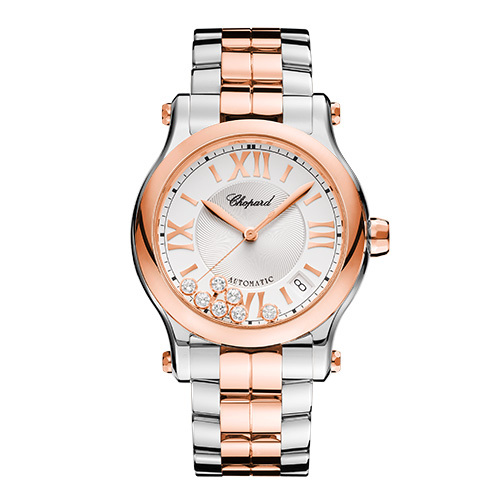 Automatic movement, rose gold and steel with diamonds, 42 hours power reserve. 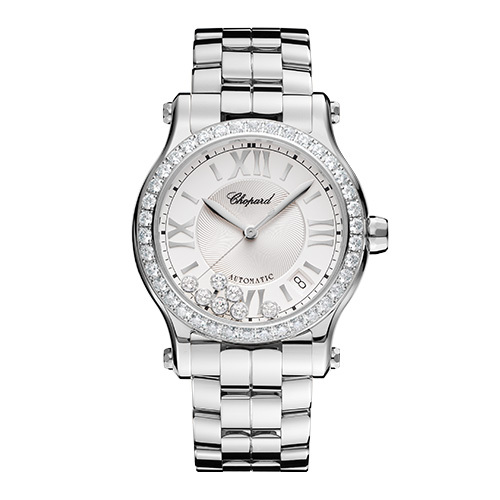 Automatic movement, steel with diamonds, 42 hours power reserve. 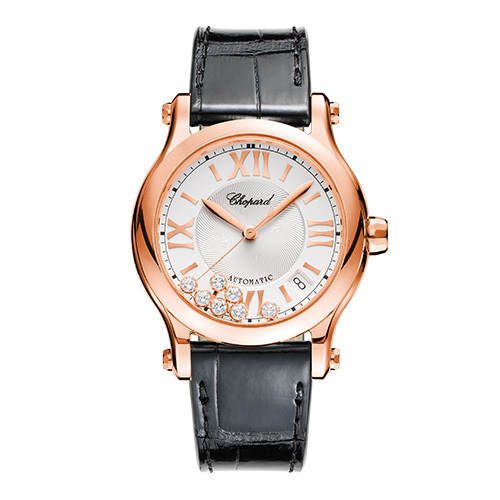 Automatic movement, rose gold and steel with diamonds, black leather strap, 42 hours power reserve. 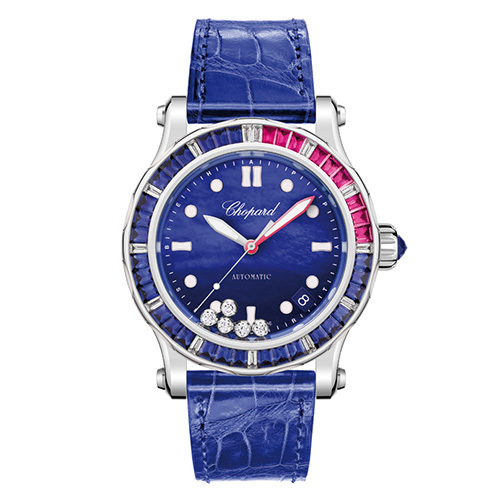 Mechanical movement with automatic winding, white gold, blue mother-of-pearl dial with sapphires, rubies and diamonds. 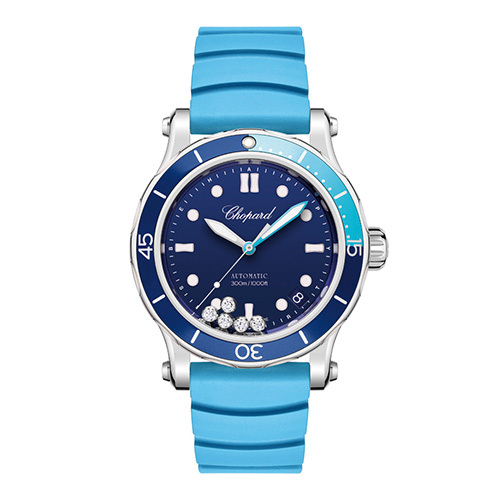 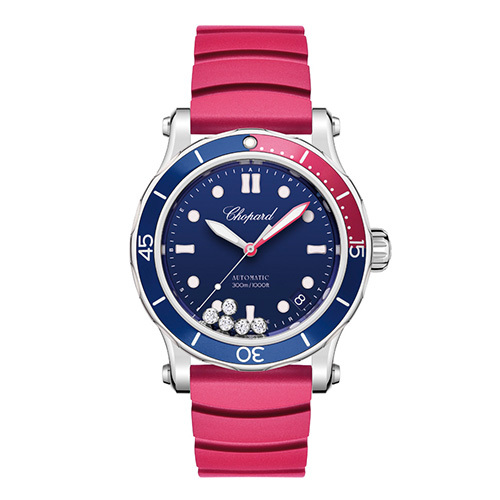 Mechanical movement with automatic winding, steel, blue mother-of-pearl dial with diamonds. 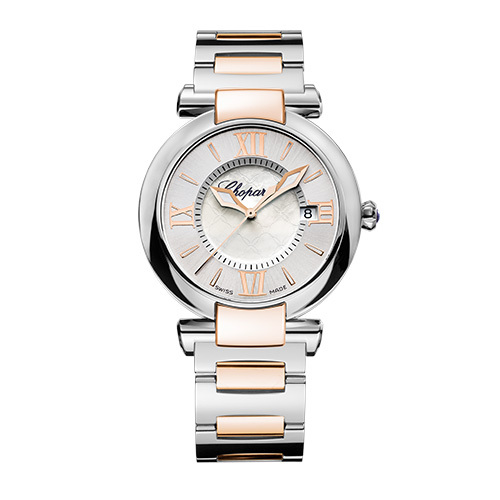 Rose gold and steel, mother-of-pearl dial and crown with amethyst. 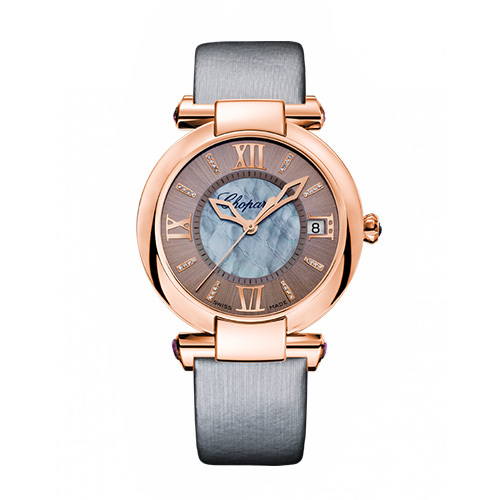 Rose gold, diamonds, mother-of-pearl and Aamethysts.